Donald Quist will be reading on Wednesday, October 24th at 6:00p in the Union Club at the PSU. 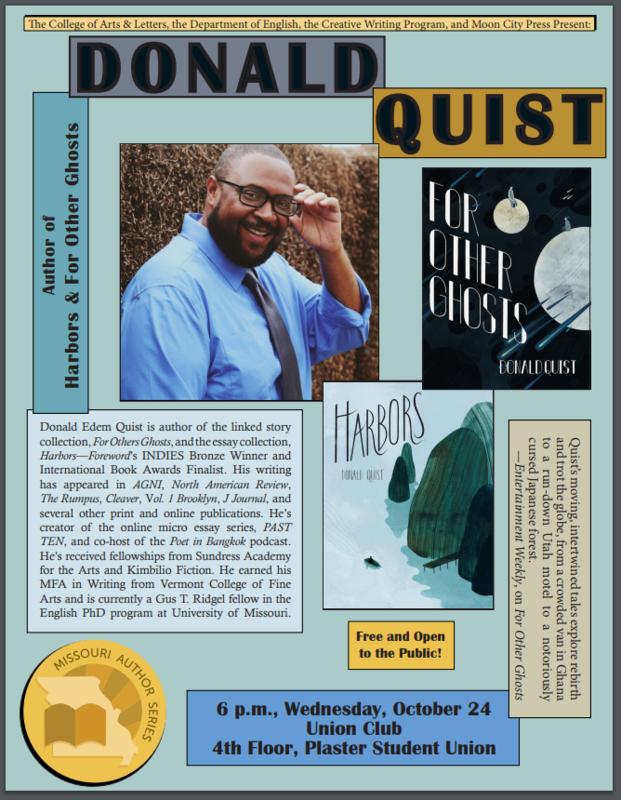 Donald Quist, author of For Others Ghosts and the essay collection Harbors–Foreword, will be reading for the Missouri Author Series on Wednesday, October 24th. Quist’s writing has appeared in AGNI, North American Review, The Rumpus, Cleaver, Vol.1 Brooklyn, J Journal, and other publications.